The solid-state lighting revolution is at hand. Will American companies be able to penetrate the vast Chinese market? "People don't want Congress dictating what light fixtures they can use," said Barton, a sponsor of a failed bill to repeal the incandescent roll-back. Despite Barton and Paul, it's coming. The solid-state lighting revolution is at hand. A combination of vastly improved technology, lower prices, consumer awareness, and energy efficiency legislation is making the multibillion-dollar lighting industry (slowly) flip to LEDs and other lighting technologies. The movement away from incandescents is occurring, although it is happening much more slowly and more painfully than VCs or entrepreneurs expected. 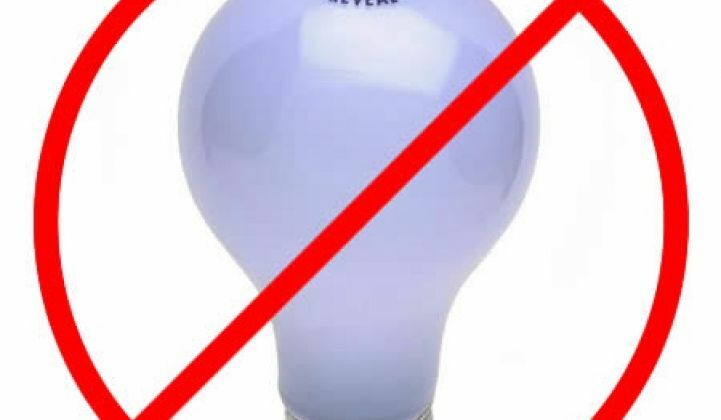 Both the U.S. and China are phasing out high-wattage incandescents to start and eventually will be applying the ban to lower wattages, as well. China produced 3.85 billion incandescent light bulbs in 2010 and 1.07 billion were sold domestically, according to the State-run Xinhua News Agency, quoted by the AP. Lighting is estimated to account for about 12 percent of China's total electricity use and the potential for energy savings and reduction of greenhouse gas emissions is enormous, according to the agency.